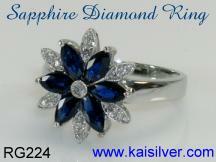 Kaisilver is the world's leading online provider of high end custom jewelry. With a production base of over 3,500 skilled craftsmen and preferential access to over 200 million carats of gemstones, we can offer you a range and depth that no other jeweller can match. 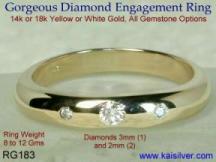 All custom jewelry can be made with your designs or ours, all design modifications are available. 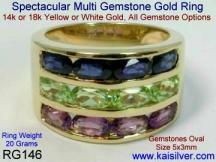 Our custom made jewelry weighs around, 50% to 60% more as compared to what our competitors provide. 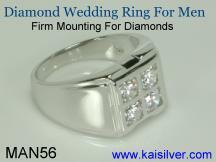 This increases the durability of your custom jewelry and provides better mounting for gemstones and diamonds. 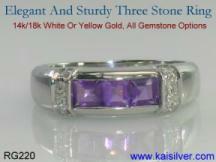 You can order your custom jewelry in 14k or 18k white gold, all gemstone options are available. We also provide sterling silver as an option, custom silver jewelry has the same high quality craftsmanship as the gold custom jewelry. Our buyers include government officials, professors, doctors and surgeons, members of the armed forces, fashion models, lawyers, sportsmen, housewives, students, financial experts, hotel and resort owners and others. With complete control over the entire production process, we give you true and complete advantage of custom made jewelry. 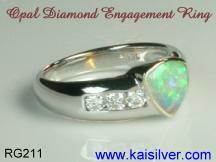 Over 6,500 buyers in 17 nations rely on us for their requirements of high end custom jewelry. 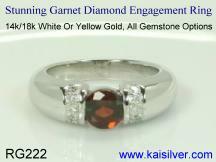 How To Buy Kaisilver Custom Jewelry? Do not be in a hurry to place your custom jewelry order, get all your doubts and queries answered by our team of experts. 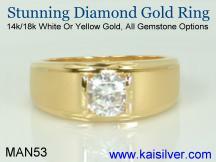 Email us your queries at sales@kaisilver.com and get professional advice and suggestions. Remember that you need not purchase any custom made jewelry to get information and advice, so take complete advantage of our expertise. You can even email us with sketches and images for your custom jewelry. We accept payments through Paypal and Western Union money transfers. Shipping is done worldwide through FEDEX priority. 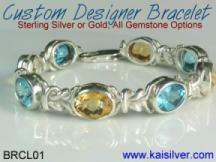 All information, images and content on www.kaisilver.com and www.kaijewels.com is copyright protected. Please do not force us to take legal action by copying or reproducing it in any form. Please do not contact us with apologies and other settlements, if our legal team is prosecuting you for infringement. We have led the crusade against such illegal activities and are supported by legal experts in 10 nations.